Never Enough Nails: Zoya Naturel Deux (2) Collection Preview! 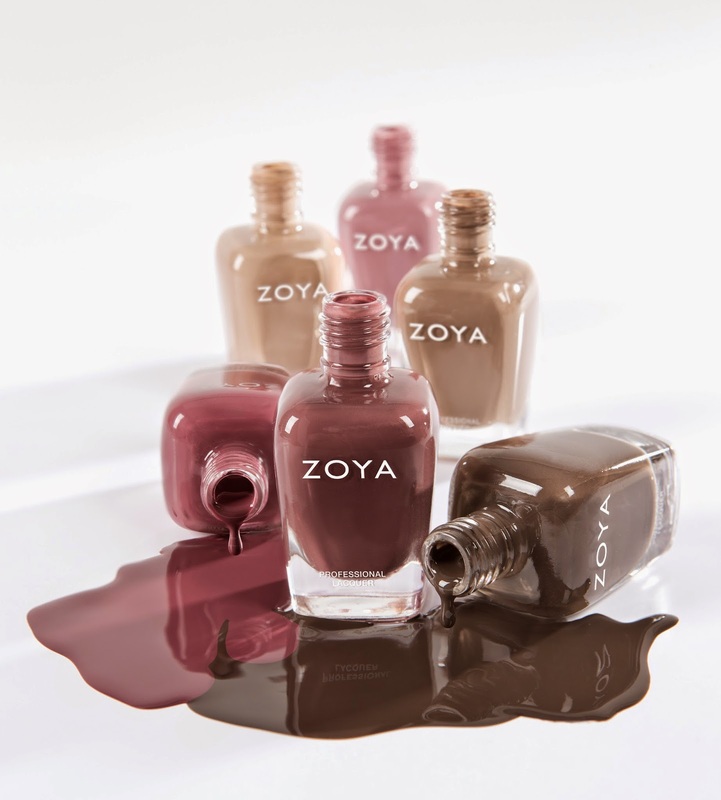 Perfect as every day go-to colors, the Zoya NATUREL DEUX (2) collection bridges the transitional gap between late summer/early fall 2014 with three, rich brown family shades and three plum based beauties. All in the long-wearing, BIG5FREE formula Zoya is known for! ZP742 – Spencer: Camel Cream, Full Coverage Formula. ZP743 – Chanelle: Toasted Almond, Full Coverage Formula. ZP744 – Emilia: Dark Chocolate, Full Coverage Formula. ZP745 – Marnie: Deep Warm Plum, Full Coverage Formula. ZP746 – Aubrey: Medium Mauve Cream, Full Coverage Formula. ZP747 – Madeline: Muted Rose, Full Coverage Formula. Available on Zoya.com and at finer salons and spas. I'm not a huge fan of them on their own either Ananka, but I do enjoy them with some glitters on top!